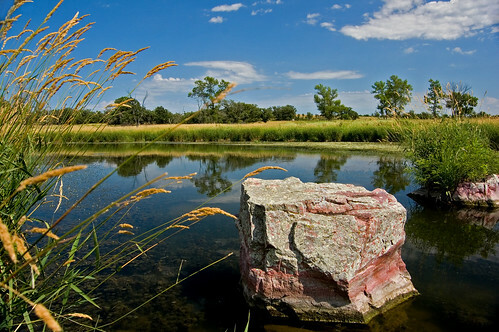 Pipestone National Mounument, originally uploaded by nuphotoguy. Not all of Minnesota is forest (north) or flat farmland (south). There are pockets of nature and beauty tucked away throughout the state. This example near Pipestone, MN is striking with stellar blue skies, prairie grass and a sprinkling of trees in the distance. This may very well earn itself a "trip on a tankful" designation from yours truly.